"never again fly with KLM"
✅ Trip Verified | Southampton to Amsterdam. This company should not be operating. They issued the wrong ticket, misleading me in my luggage allowance and then never followed it up to say it was wrong, followed by a suspension of service, moving our flight to a different company who’s luggage policy is completely different to theirs meaning a smaller amount of kilograms without ever informing me. When I dealt with their customer service, they refused to put a manager on the phone and were absolutely appalling saying my options are to get a full refund ( meaning I would lose all my hotel booking money for the holiday) or just buy extra luggage allowance from the new company without any contribution towards it. I will never again fly with KLM and will never recommend to anyone. They caused a lot of upset days before a lovely holiday! ✅ Trip Verified | Amsterdam to Berlin. 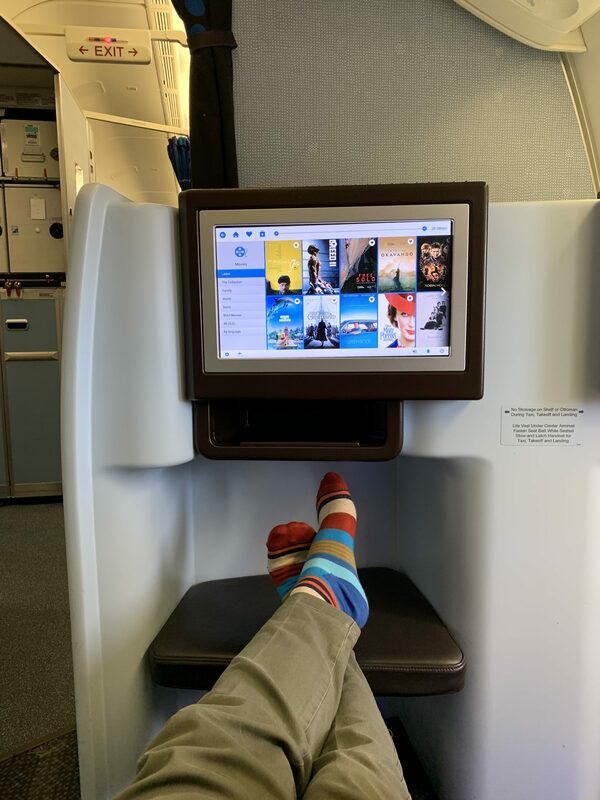 As a foreigner who lives in Amsterdam, KLM eventually became one of my favorite airlines. But their 737-700's are pretty worn and outdated that all beg for renovation or retirement. 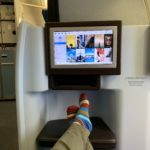 Upgrading to Economy Comfort usually helps, in terms of better seat pitch, however for short-haul flights like AMS-TXL this is not a deal breaker anyway. I was a bit disappointed by their single-bite sandwich this time, but a full board drinks selection was alright, smiling faces of cabin crew and smooth ground service. You can not break many points when you see such a great crew each time. ✅ Trip Verified | Amsterdam to Helsinki. Very good crew and hospitality. Tasty foods and cakes. Smiling and happy crew. On time performance. I wish i have more food or on time purchasable foods. ✅ Trip Verified | Johannesburg to Manchester via Amsterdam. Poor service at check-in desk in Johannesburg, I checked in 2 hours before boarding time. I was told by the staff they are waiting for seat, when I asked how long they didn't know. After waiting for 30 minute asked what was going on and was told the flight was over booked, had no seat I will have to fly the following day. Staff were so obnoxious no apologies nothing, then i was told i should have checked in online thats why i had no seat. I insisted on speaking to manager in charge she was also of no help. Cabin staff took their time to answer call. ✅ Trip Verified | Paris CDG to Amsterdam with KLM. Average service for the Class. Some delay at CDG. Priority passengers must do their own check in. The airline lost my baggage. It has been 4 days and have not been contacted by the airline. Service totally absent. ✅ Trip Verified | Edinburgh to Amsterdam via Helsinki. Great customer service on board, food is good enough. Had some trouble catching my connecting flight on my way to Edinburgh (which was mostly on me to be honest, but plane arriving a bit late was a part of it), but absolutely no trouble on my way back home. Every flight attendant was very nice and considerate, and kept on a smile for the customers, even when busy. "half an hour late departing"
✅ Trip Verified | I got from Oslo to Amsterdam without incident. The catering was OK. However, the flight which was operated by Stobart was half an hour late departing. The crew spoke english with a strong Irish accent which was difficult to understand. The KLM booking site needs improving and the “ welcome home” email did not work. "will never fly with them again"
✅ Trip Verified | Beijing to Newcastle via Amsterdam. The actual flight was ok. Nothing special. But the worst part of this whole ordeal was the way they handled things behind the scenes. On my way to Newcastle they lost my bag. Ok no problem. Mistakes can happen. I get my claim reference number and then get a text the next day that my bag will be arriving. I go check for the bag they said they left at reception and it is the wrong bag. In my description of the bag I said that it is a hard shell gray suitcase. The bag that showed up was a soft black bag. I call KLM letting them know that the wrong bag showed up and they tell me that I have to bring the bag back to the airport. I tell them no because it was their mistake and why should I go out of my way on my 13 day vacation to fix their mistake. They apologized and said they would send someone over to pick it up. In my 13 days in Newcastle I probably called them over 27 times. Each time being told that they are still looking for the bag. I come back home after my trip to Korea and keep calling. Finally one component employee let's me know that they have actually put the search for my bag on hold because I hadn't returned the wrong bag. 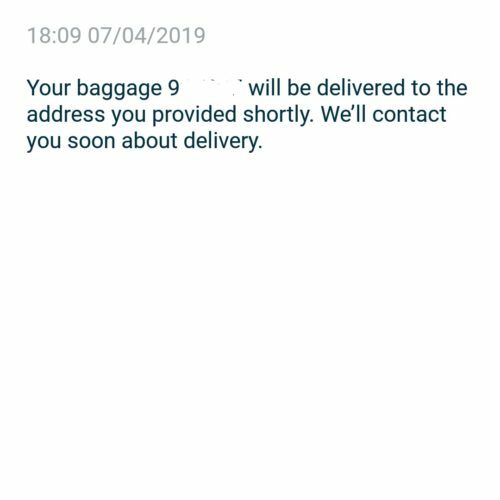 Mind you, this is over 2 months now and no one has ever mentioned this to me in my previous calls after the first call I gave them when they delivered the wrong bag. I told them that I have told a KLM representative to pick up the bag and they said that they would. They apologized and sent someone over and then a few days later my bag arrived. I have never been so stressed about travelling until this. 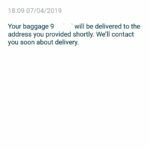 I wasn't unhappy about them losing my bag, but was extremely frustrated with the KLM handled the whole situation. Each time I called, it seemed that the employee was more confused about my situation. My phone calls consisted of me asking them to open my case for the search which they said they would request their supervisor, but my case was only opened 2 months later. Each employee guaranteed the case would be opened, but it was all a lie. Communication is not a quality the company has within their team. My friend has also flown with them recently to visit me in which both of her flights got cancelled. No notification was given about these cancellations until the actual day of the flight and they also lost her bag on her way back home. I couldn't believe it when I heard that this happened. I will never fly with them again. ✅ Trip Verified | Excellent customer service desk of KLM! We needed to reschedule some tickets, due to the problems with Jet Airways. When you call their customer service center, they picked up the phone in 1 minute - - they know already based on my phone who I am - for whom I booked - the problem and - within 2 minutes they solved the problem and before I hang up I had new tickets in my mailbox. Needed them three times in the last week. Three times really excellent service. Costs a bit more, but worthwhile. "Will not fly with KLM anymore"
✅ Trip Verified | Amsterdam to Montreal. I had a bad experience during my last trip. I was supposed to initially board on an AtlasGlobal plane from Istanbul to Amsterdam, and then after 2 hours of layover get on the KLM plane towards Montreal. Original plane takeoff time in Istanbul was scheduled at 10:40 AM , but the boarding did not start till 10:50 AM without even updating the billboard notifications. After everyone got boarded on the plane it took a long time for it to be allowed to take off (about 2 hours delay). Therefore, when we got to Amsterdam Schiphol airport we had only 20 minutes to pass security and run for the KLM flight. So had to run from 1 end of airport to the other (including running down the stairs). The plane was already boarded and we barely made it. 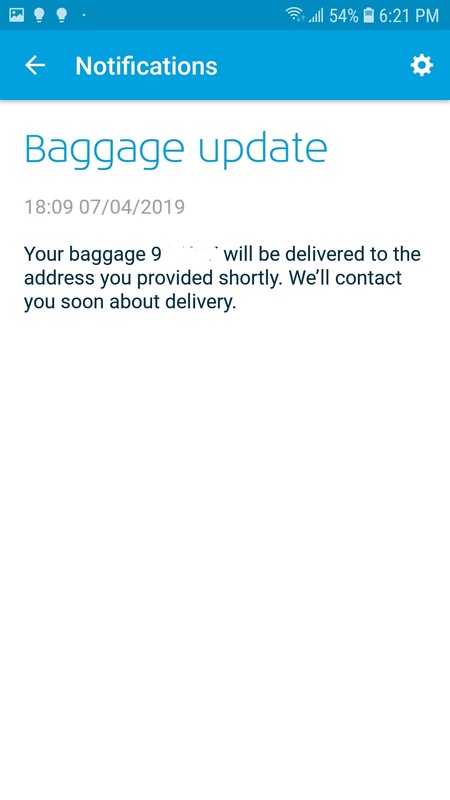 After the plane landed on Montreal and got internet, we saw a notification on KLM mobile app that the baggage did not make it in time to the airplane. After going through a lot of forms and extra wait and stress we were able to file a delivery request for our baggage as we live in Ottawa which is 2 hours driving distance from Montreal The next day, after a long unhappy flight experience, we got another notification mentioning that our baggage is still on its way, and we should go to KL baggage service desk at "the airport". I wish this was a bad joke but it is not. Is it really ok to send such confusing and uncanny notifications? I don't think so! 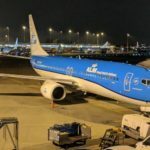 Will not fly with KLM anymore and suggest you do not either.